Social media has become as valuable as any marketing and advertising channel, but not every social network is perfect for your company. Before you join any network, make sure you go in with a strategy and goals in place, otherwise you may lose steam shortly after starting and end up with a dead page. Sure, you could write an entire post, or even a series of posts, about each network, but we’ll just give you a couple reasons to be on each network. There are more than a billion users on Facebook. That alone should get your attention. Facebook allows you to post to a large audience with a variety of content and also gives you built-in analytics to help track your strategies. Use the Timeline to tell the storied history of your company. Post consistently with a variety of content to help you with Edgerank. Brands doing a great job on Facebook include Oreo, Frank’s Redhot, Red Bull and Skittles. Twitter is a conversational platform and is much easier to connect with users. Brands take advantage of this by responding to questions, problems and general comments in order to build relationships and loyalty. Posting company news, coupons and deals, jobs and general conversational posts are just a few examples of what you can do. Brands like Starbucks, Oreo, Whole Foods and Chobani are doing wonderful on Twitter. Many brands are hesitant to take the leap to Google+, but I wouldn’t shy away if I were you. Utilize Google+ Hangouts in every way possible, especially because they’ll automatically upload to your YouTube account. Send products to fans to try out and invite them to a Hangout to talk about their experience, create Circles of brand advocates and participate in Communities. A few brands nailing it on Google+ include Cadbury, BMW and National Geographic. This is the ultimate visual platform and has quickly grown into one of the most popular social platforms out there. Pin your products, stories and news about your company, industry news, your company’s work, things that represent your brand, just a few ideas. 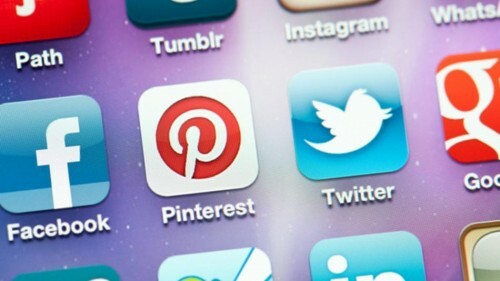 Brands that really strive on Pinterest are Chobani, Nordstrom, Lowe’s and Ben and Jerry’s. Foursquare is primarily for visibility and brand loyalty. When users see a place offers a deal or special for checking-in, they are more likely to stop in or become repeat customers. Brands should continue to update the page with posts about current deals or updates from your company. Some brands doing a great job include the History Channel, Bravo Channel and CNN. If you’re wondering what the best social network for B2B companies is, it’s LinkedIn. It’s great for finding talent, highlighting your company’s updates and work and offering content to help give people answers to questions they’re yet to ask. Brands doing a great job on LinkedIn include Hubspot, Adobe and HireVue. Instagram allows you to share pictures and 15-second videos. When you take pictures and share them, you can use filters to alter your shot. Short-form video is becoming powerful and with 15 seconds, you can do a lot. Like Vine, you can use it to take behind-the-scenes videos, how-tos, product demos and releases. A few brands really doing great on Instagram include Gatorade, Starbucks, Chobani and Sharpie. Vine is a young, but popular platform that allows users to create six-second videos on their smart phone. Six seconds doesn’t seem like a long time, but many brands have gotten creative to cram a lot into such a short amount of time. As a brand, you can use Vine to demo a product or service, show off current environment such as your office or photo/video shoots, introduce employees or celebrate great moments. The possibilities are endless. YouTube is one of the largest search engines on the Internet and videos appear high in search results. Brands like Red Bull, Oreo, Nike and Whole Foods are doing a great job creating a variety of content their users love. Some popular types of videos include product demos, how-tos, events and conferences, interviews and thank you videos. YouTube is popular for content because video is much easier to consumer than written content. These two are important, but often overlooked. Just because you’re not active on a site, doesn’t mean people still aren’t talking about you there. By having an account here, you then have the opportunity to respond to any problems customers face, that aren’t shared on Twitter or Facebook, and can also keep an eye on all conversations about your brand. Are there any other social networks you feel are essential in 2013? Check out our last TTF post about finding ideas for creative inspiration. Stay tuned for more upcoming TTF posts!